Oliver Stimmer and Markus Karileet want to change the outdoor advertising space rental system with the innovative technology they developed to make it more effective for customers. How? Ajujaht found out. Cognitive Billboard creates a software platform which enables outdoor advertising sellers to offer the option of demographically targeted advertising. Cognitive Billboard uses real-time image processing technology to detect the age range and gender of the passer-by and shows best-suited ads on the digital ad space. Team Leader Oliver answers our questions. In spring, I was on television speaking about the different applications of self-learning machines. A company that rents out advertising space saw it. They wanted to start using digital screens but wanted to better use the potential of the screens and provide more added-value than just changing ads. I have been developing the technology with my colleague Markus Karileet, who is a software architect, since last summer. Currently, I am also working as an Internal Systems` Development Manager at Helmes. Previously, I studied Computer Science at Tartu University. Will your technology be used to watch all of us on every street corner? That is a misguided fear. We will not own personal data. Our camera image will only detect the person`s age range and gender. But we do not have information about who the person actually is, and we are not going to collect that information. If we compare Cognitive Billboard to some telecommunications companies whose service you have in your pocket all the time and who know your name and exactly when and where you are going, then we are pretty safe. We will only know that on a Wednesday in January, there were six men at Niidu bus stop, three of them aged 20-25, two aged 40-45 and one retired man over 70. But how does it work exactly? Will I see a camera at the bus stop? We will take an image of the person looking at the ad with a regular microcamera. A machine can pretty much guess the age and gender of the person like a human can. The machine`s learning model has been trained with many images and that`s the source of the wisdom. The first test has been set up at a bus stop in Pärnu. The camera there is really small and people don`t notice it. There is a sign at the bus stop saying “There is video-surveillance here!”, but you don`t notice the camera itself unless you deliberately look for it. How far are you with the technological development? We are currently in the testing phase, but we know that the machine`s learning model still needs development. It has to become more accurate and reliable. In the long run, we want the technology to be able to detect how exciting the ad is for the person, i.e. to measure how long the person looks at it at the stop. 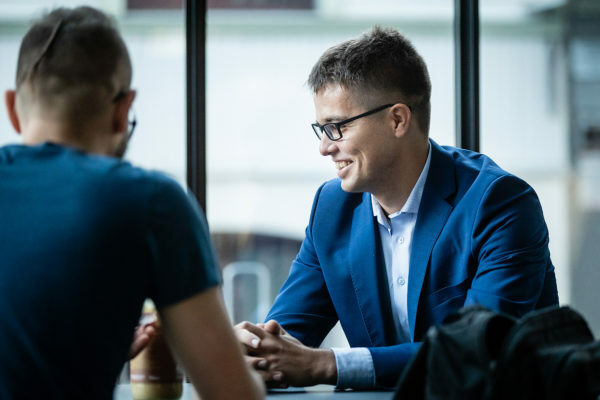 In order to find longer-term cooperation, we have also met with other advertising space sellers and advertising agencies. Would it be possible to use this technology on moving ad spaces, for example on trams? It`s a good idea, but it`s technically complicated. For the time being, we are focusing on static ad space. The global outdoor advertising market is worth 39 billion dollars a year. We see Estonia as a pilot country for developing and testing the technology, after which we would like to enter the UK market. Similar solutions are being tested there and the competition would help us improve our product even more. 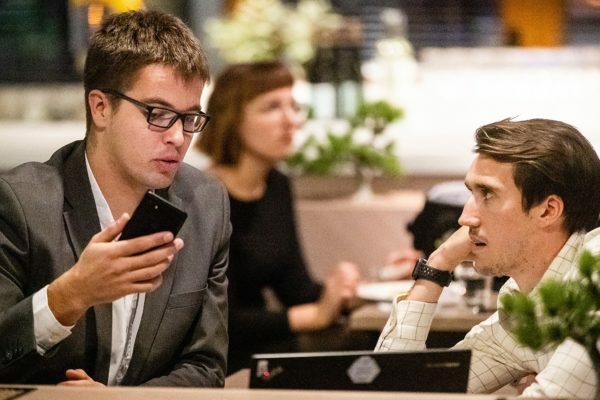 If we can test the technology in Pärnu and prove how useful the product is to advertising space sellers, then by the end of 2019 at the latest, we think that 70 percent of Estonian outdoor advertising spaces could be covered with our technology. 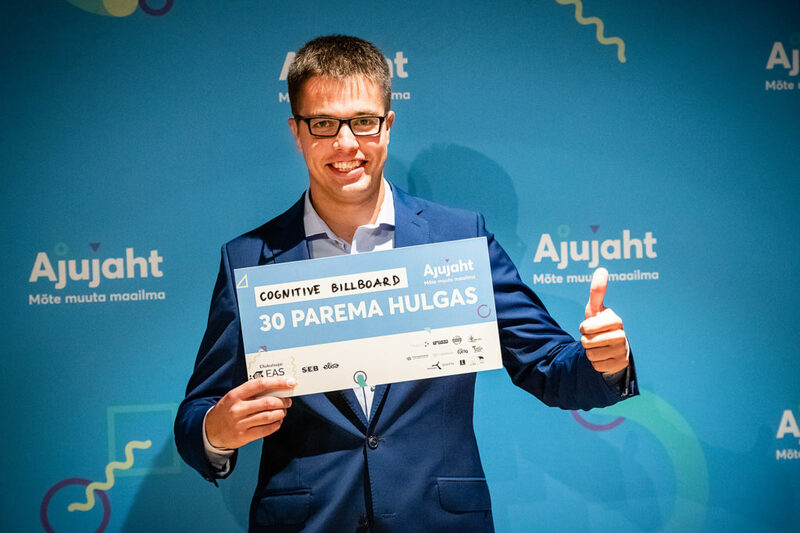 Cognitive Billboard is a team participating in Ajujaht` s development programme led by Oliver Stimmer from Pärnu County alongside Markus Karileet. Cognitive Billboard is a software platform, which enables outdoor advertising sellers to offer demographically targeted advertising. More information about Cognitive Billboard is available here.